The place name “Osaka” was first used in text written by Rennyo, the 8th generation head of the Jodo Shinshu Honganji Buddhist Sect in 1498, who built the foundations of the Ishiyama Honganji Main Temple. The temple was attacked by the Shogun or General Nobunaga Oda at around the time of Kennyo, the 11th generation head. 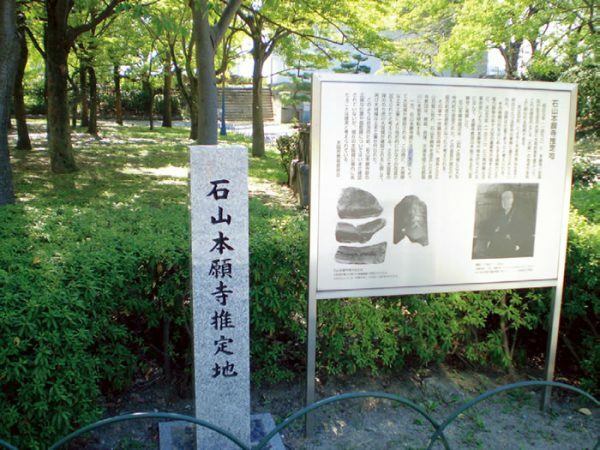 After a reconciliation with Nobunaga Oda, it was burned to ashes. Its exact location is unknown today. Subway: Tanimachi Line: Tanimachi 4-Chome Station (T23). Chuo Line: Tanimachi 4-Chome Station (C18).